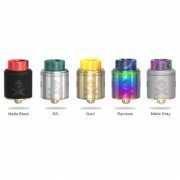 Vandy Vape Bonza V1.5 RDA, an updated version of original Bonza RDA, comes with 24mm diameter. Compared with the V1.0, the Bonza V1.5 RDA has enlarged posts, screws, and plates, making coil building easier. It features 9mm juice well and top cap locking system that avoid leakage effectively. 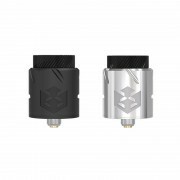 With the raised squonk pin, the RDA supports bottom feeding. Moreover, the new dual Air Flow Control (AFC) options deliver smooth and intense flavor. ❤ Please read the user manual carefully before using this Vandy Vape Bonza V1.5 RDA. 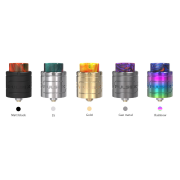 ☞ 3 months warranty period for Vandy Vape Bonza V1.5 RDA.